- ITIL v3’s five life-cycle stages and how different ITIL concepts facilitate change from the familiar physical environment. - The scope of adoption of cloud services – virtualize servers, virtualize applications, virtualize desktops etc. - A hypothetical multi-year journey that transitions a physical environment to a hybrid of private and public cloud models. 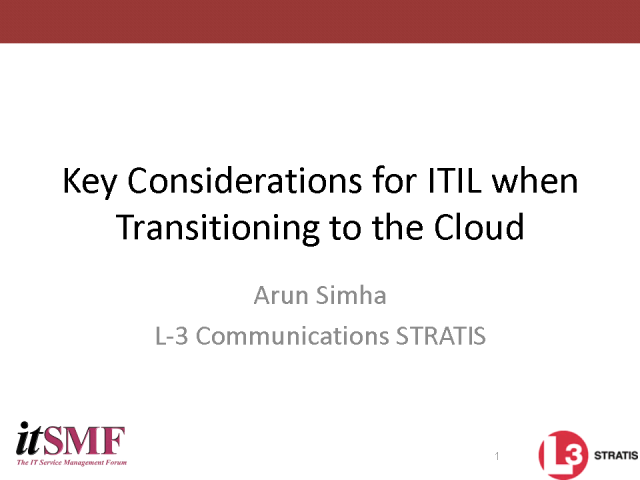 - How ITIL concepts apply to this transitioning environment and identify key considerations.